Historic game. Iconic stadium. You’ll get to experience both when you use Stratos Jets to book charter flights to the Rose Bowl in Pasadena, California. There are so many reasons to love an event that’s steeped in as much tradition as the Rose Bowl. Known as the ‘Granddaddy of Them All’, it’s the oldest College Football Playoff (CFP) bowl game in the United States. Rose Bowl Stadium itself is worth a visit to Pasadena. When you’re flying in on air charter services, you might even see it on your descent. With a modern capacity of 92,542, it’s the 18th-largest stadium in the world, and 12th-largest in the US. Stratos understands just how important college football is to fans all over the country, so no matter where you live, or where your team is playing, you can count on our air charter services to get you there in style and comfort. By booking charter flights to the Rose Bowl with Stratos Jets, you get to avoid the hustle and bustle of LAX. By using a private air charter service, you’ll have access to Bob Hope Airport (BUR), which is just 25 minutes up the road in Burbank. Those staying on the east side of Pasadena can also use El Monte Airport (EMT) as an alternative. Are you heading to Pasadena to catch the Rose Bowl on New Year’s Day? 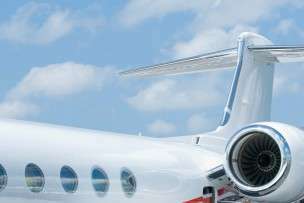 Stratos Jets' air charter services will get you there safely and comfortably. Our friendly customer service agents are available 24/7—(888) 593-9066 (toll free) or request a quote online.